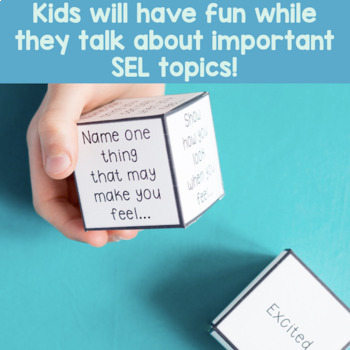 Looking for a fun way to help your students understand more about feelings and emotions? 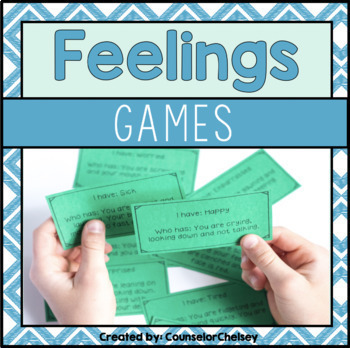 These feelings and emotions games will help your students learn to talk about their feelings and identify feelings based on physical and situational cues. 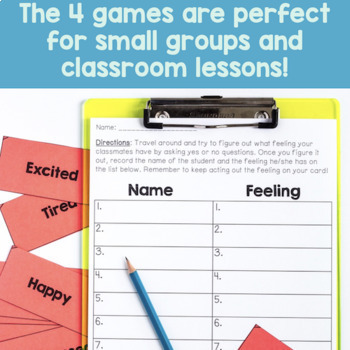 These games are the perfect way to make your individual, small group or classroom counseling lessons more engaging! This resource is part of a social skills games bundle! 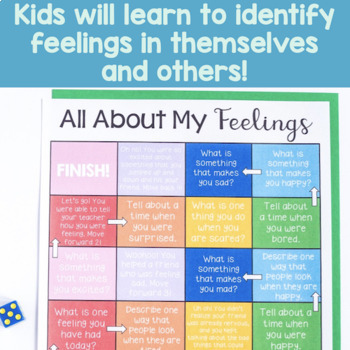 This resource is part of a Feelings/Emotions bundle! Laree said "Thanks for this great resource. The students enjoyed the games and were able to think more about feelings and their impact throughout the day. Very affordable too! Much appreciated :)"
Becky said " My students (who despise social skills time) loved the dice game. Thanks for creating such a fun pack of games!"